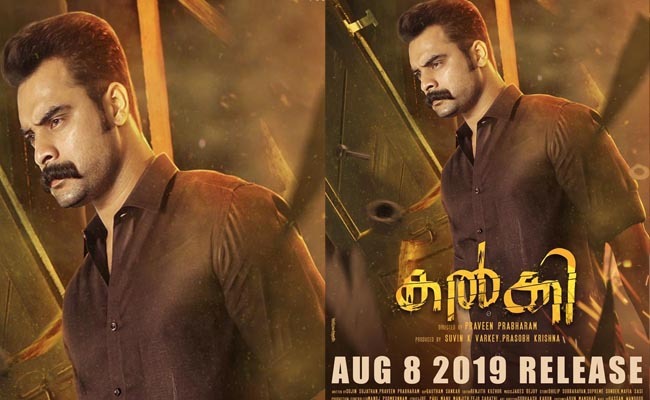 The first look of Tovino from the movie Kalki has made its presence felt in the social media spaces. The star, who is appearing in the movie as a police officer, has made a terrific outing in the first look poster, which has him posing with a tough look. All set to hit big screens on August 8th this year, Kalki is one of the most anticipated movies amongst the movie goers in the state. Under the direction of Praveen Prabharam, Kalki is being produced by Suvin K Varkey and Prasobh Krishna under the banner of ‘Little Big Films’. Tovino, who is having a dream run in Mollywood, is surely looking forward to rock the industry, with some exciting projects.